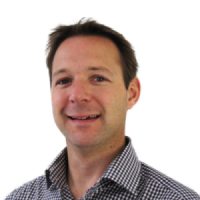 Tim graduated from the British School of Osteopathy in 1994 after completing his 4 year BSc. He was an associate or locum in over 30 practices both in the UK and New Zealand before setting up his own osteopathic practice with his wife Juliet in 1997 in Berkhamsted Herts. Tim has held the positions of the BBC Osteopath at Television Centre, Bush House and Broadcasting House and Osteopath at the London School of Economics. Tim lives in Berkhamsted with his wife and 3 sons. He enjoys playing/coaching a wide range of sports including : rugby, tennis, triathlon, marathon running. Tim is a member of the General Osteopathic Council (GOSc).